Renting in Raleigh: What will $1,600 get you? We've rounded up the latest rental offerings via rental site Zumper to get a sense of what to expect when it comes to hunting down an apartment in Raleigh if you're on a budget of $1,600/month. Listed at $1,595/month, this 928-square-foot one-bedroom, one-bathroom condo is located at 400 W. North St., #528. Amenities offered in the building include assigned parking, a fitness center, a roof deck, a swimming pool, storage space and secured entry. The apartment has in-unit laundry, granite countertops, stainless steel appliances, a walk-in closet and hardwood flooring. Pet owners, inquire elsewhere: this spot doesn't allow cats or dogs. Next, there's this one-bedroom, two-bathroom condo over at 200 S. Dawson St., #208. It's listed for $1,550/month. Amenities offered in the building include assigned parking and secure entry. 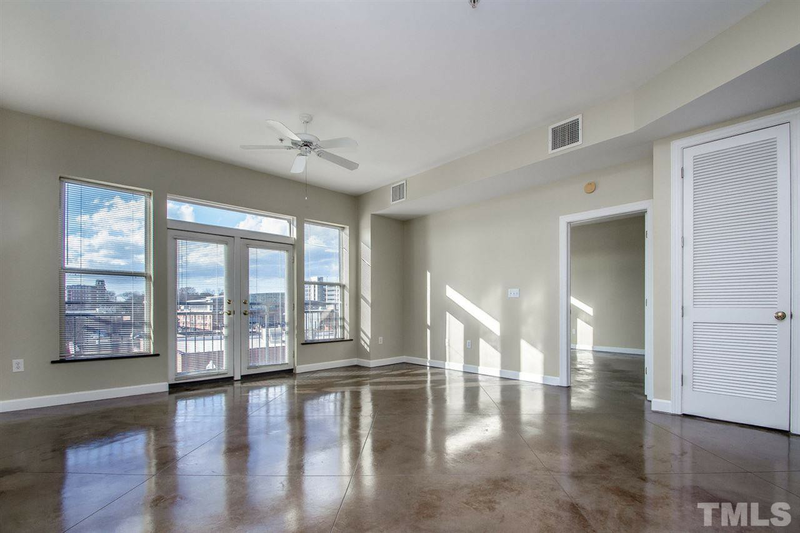 In the unit, there are concrete floors, a balcony, a washer and dryer, stainless steel appliances and granite countertops. Pets are not permitted. Finally, here's a 744-square-foot studio apartment at 4011 Cardinal at North Hills St. that's going for $1,545/month. Apartment amenities include high ceilings, a dishwasher, in-unit laundry, a walk-in closet and a balcony. The building boasts garage parking, outdoor space, a swimming pool, a fitness center, storage space and secured entry. When it comes to pets, both meows and barks are permitted. According to Walk Score's assessment, the area around this address is moderately walkable, is relatively bikeable and has a few nearby public transportation options.